Home/Driving Schools/Why Driving School Fees In Malaysia Are So Expensive? Getting a B2 Motor (250cc) license in 1970 costs approximately RM80 – RM150. The cost of securing a driving license for cars (Class D) and motorcycle (B2) today is however much higher. While years ago, once could secure a car license for only RM150 for a 16 lessons course, securing the same licenses can be anything from RM700 to RM1000 according to the current prices. Why is there such a big disparity in prices, one might be tempted to ask? Well, prices of things in 1970s compared to today is obviously different. The price of a Volkswagen car (1200 cc) in 1970, I remember well was only RM6000 – RM7000. Do you know what the price of a Volkswagen Polo today? If you should be unaware, allow me to inform you that the Polo costs around RM108,000! The cost of living today in Malaysia has gone up by leaps and bounds. In short, it has escalated, so to say. A bowl of wan tan mee in the 1970s was only 70 cents. Today, a person has to pay a sum of RM3.50 to enjoy the same plate of mee! It is therefore not very surprising that potential students who are interested in getting a driving license for either a motorcycle or a car have to pay a rather expensive price for them. Many students have often inquired why to secure a driving license today, one has to pay such a high astronomical price. First of all, the public should understand one thing. The government, it is said, does not control the fees charges by driving schools for driving lessons. Except for B2 licenses, which the government has controlled at RM201, driving licenses for cars (D), lorries (E) and tractor (H) are in fact outside the government’s jurisdiction. However, the public should get one thing straight. Driving schools and institutes must display the rates charged at the premises for the public’s consumption. The Dewan Rakyat was recently told of this requirement. The Deputy Transport Minister, Datuk Abdul Rahim Bakri recently told Dewan Rakyat why the government has decided not to control the rates of tuition fees for the driving school industry. The government believed that the current practice of determining such charges through market forces would encourage a healthy competition among driving schools and institutes. This would, in the end, provide learners with a more comprehensive learning package. In holding to such a decision, the government believes it will provide potential driving students an opportunity to choose schools that offer reasonable process for lessons. However, as reiterated much earlier, driving schools must display the fees and charges for services they offer. With this article, it is hoped that the public will now how a better understanding on how the charges from driving schools in Malaysia are set. Besides, following rates permitted by the government, driving schools and institutes are allowed to charge a certain amount of reasonable service charge. Therefore, potential student might find fees charges by driving schools differ from one place to another and by one instructor to another too. It is also based on supply and demand factors. Any good Economic student will surely be able to understand how the system operates. Hi I am English and currently living in Malayisa. I just passed my 17th birthday and I will be 18 this year. To be truthful I have little knowledge of the whole system here. I think I will be staying in Malaysia for 18 more months after that I will move on. Is this enough time to get an international licence? I heard that you have to wait 2 years to get this… Is this true? I was also told that the test will only be in malay I currently live in Penang, could you give me some guidance as to where there will be an English test? Oh and if I cannot get the international licence in my time here will i be able to convert the licence abroad? 18 months is enough time to get a Malaysian driving license. International license only for Malaysians, not foreigners. The Highway Code can be done in English via computer. Your own country should convert your Malaysian license. Hi Cikgu Yap need advice my daughter get herself an instructor at Jalan Ipoh Tan driving Institute beside of 7eleven.She attend all the exam & course for days. All out of sudden they ask her to go exam and as she had to attend go to school .. and ask my daughter to pay another RM100 to sit for the exam. May i know where can i get her copy of computer she passed ?? They not giving her cause i want to change other instructor driving institute.I think he is a corn man. The world is full of conmen unfortunately. An instructor should accommodate a student’s itinerary. Regarding the computer results, try getting a duplicate from the computer exam centre where your daughter did her exam. I am an expat who just moved here from Ireland. I want to get a Malaysian driving licence but I have never driven before. I have called a couple of schools but they seem to charge especially high rates for foreigners and I can’t find one near my home – we live on ampang hilir. Can you help me? Unfortunately, Ampang Hilir is out of our jurisdiction. We are based in Klang town, Selangor. 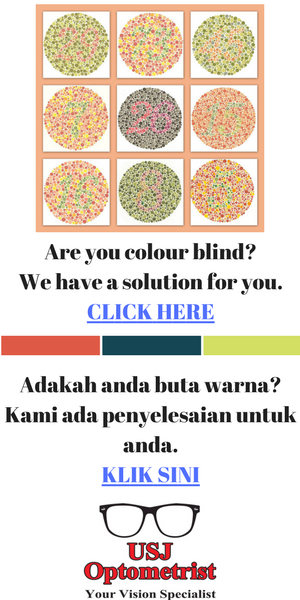 I am a foreigner currently living in malaysia for studies. i want to get a malaysian licence. unfortunately i have never driven a car before. im currently living in Bukit Jalil.. May i get some information of aproximate cost of driving school charges and a reliable driving school contact.. I am a foreigner studying in Malaysia. I want to get Malaysian license. I have never driven the car before. I want to take a driving license course but I live in cyberjaya. I would appreciate some help .. thank you !! 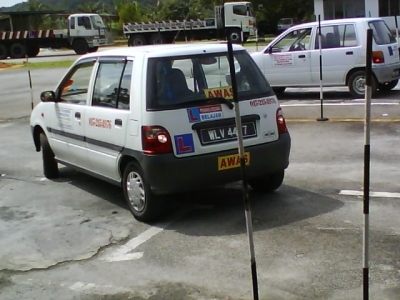 The process of getting a Malaysian driving license is the same for non-Malaysian. Just go to the nearest driving school or driving institute and register yourself. Nearest to Cyberjaya as far as I checked are these two (find below). You pay a one-way Uber fee of 15MR max to go there. You can visit them both to check the prices for the driving package as well as the promotions they offer. I know Motor Academy offers transportation for 200 MR.